If the cheap cartoon-themed watch you've been wearing since high school is drawing disapproving stares at the office, this collaboration between Dr. Romanelli and Bamford Watch Department provides a stylish alternative that still embraces just a touch of whimsy. 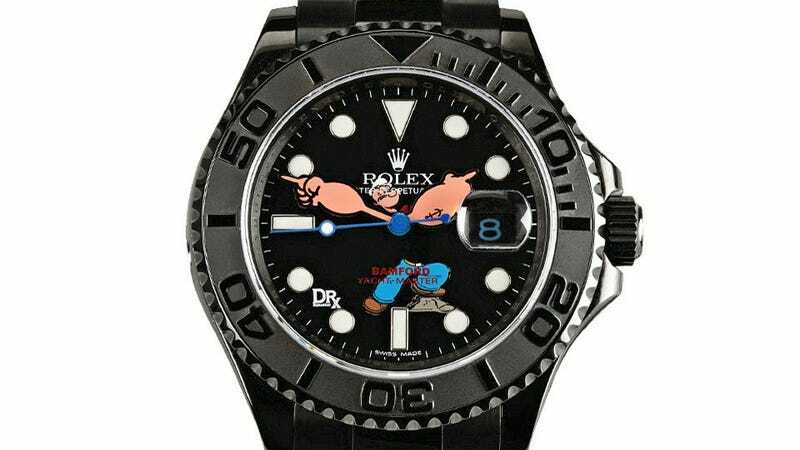 And even though this custom Rolex featuring Popeye—complete with his muscular arms pointing out the time—comes with a price tag of over $32,400, it's shockingly already sold out. But if you can settle for another famous cartoon character from the armed forces, there's also a Beetle Bailey Rolex that's still in stock. And at around $24,500 it's slightly more affordable, though, only half as awesome.